What’s wrong? 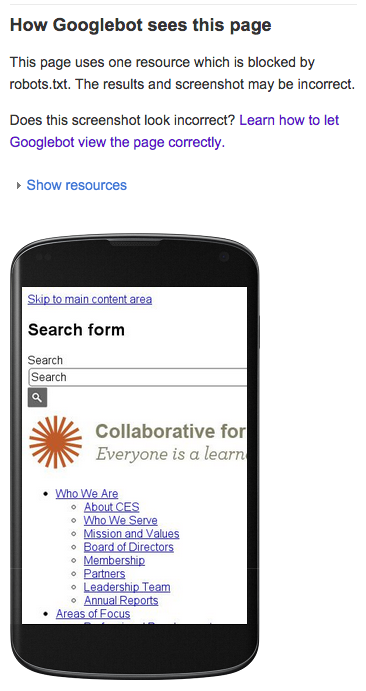 Your site is responsive, when you look at it on your phone it looks great, the links are all clickable, images are scaled appropriately, navigation is useable – yet Google says your site isn’t mobile-friendly? Now I know this website is mobile-friendly, I built it as so. But in Google the screenshot looks like a full site with no, or partial styling. 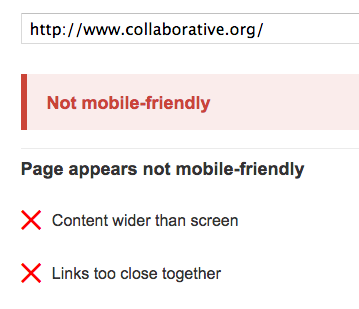 This is why Google thinks your site is not mobile-friendly, because it sees your website this way. The reason is most likely due to resources being blocked by Google, either deliberately in your robots.txt file or even not specifically allowed in your robots.txt file as in my situation. The Collaborative for Educational Services website is built using Drupal 7, a very popular open source CMS framework, and has a lot of caching and performance enhancing configuration setup in order to allow it to run as smooth as possible. One of the things we do is compress our CSS and JS files. This creates a cached file of all the CSS and another for all the JS and sticks it into a separate folder than our theme. 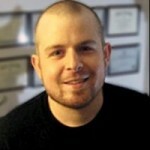 Google doesn’t pick this up, resulting in none or partial styling being rendered in their tester. The 2 Allow lines tell Google or any other search engine crawler to look at any .css or .js file located in /sites/default/files/css and /sites/default/files/js folders. Yay! Everything looks as it’s supposed to and we are now verified as a Mobile-Friendly website! The solution above is specific to Drupal, if you run a website that does not rely on a CMS framework, or any other preinstalled site building files, you will want to change this path to your site’s CSS and JS folder. I hope you will find this post helpful!